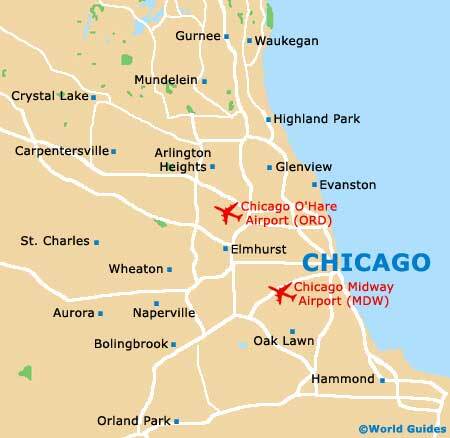 Chicago is without doubt a major center for shopping in Illinois and the numerous districts provide a shopper's paradise. Whether you are looking for fashion, antiques, furniture, jewelry or home accessories, rest assured that Chicago will provide you with a huge choice. Most shops in Chicago are open seven days a week and public transport is never far away, so shopping in different areas is both quick and easy, although many stores are within walking distance of each other. Downtown has many boutiques, fashion shops, art galleries and some of America's best department stores. There are also a number of excellent shopping centers, department stores and malls. 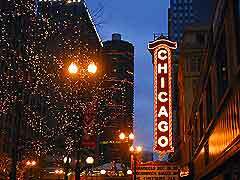 The Magnificent Mile is the city's premier shopping and strolling street and is a popular district in Chicago. It stretches along North Michigan Avenue between Chicago River and Oak Street and is full of an enormous range of shops. The Magnificent Mile attracts shoppers and tourists to the city from all over the Midwest and beyond. The second main shopping area is State Street, in the Loop District. This is where some of the most wealthy people living in the city shop and there are many grand stores located in this district, and well as numerous smaller and interesting outlets. For antiques and art galleries in Chicago, the best area of the city to head for is to the north and east of the city center, in River North, where there are numerous shops of this type. The Lincoln Park district, running from Fullerton Avenue to Addison Street, is full of many shops and stands selling secondhand clothes, antiques, collectors' items and general bric-a-brac. The highest concentration of shops in Chicago can be found in Clark Street, Belmont Avenue and also Broadway, where the streets are lined with shops, including several large bookstores. These are also some good bookstores located in Lakeview, Hyde Park and around the university. For jewelry in Chicago, the most popular place to shop is north Chicago, in Devon Avenue, between California Avenue and Western Avenue. Hear you will find many specialized gold jewelry shops, and also a selection of other stores, selling handicrafts, textiles and spices. New Maxwell Street Market is home to a number of lively flea markets, where there are often more than 300 interesting market stalls, selling an enormous amount of goods, ranging from antiques to musical instruments. Chicago fruit and vegetable markets are regularly held in the city center and also at more than 20 other market sites around the suburbs. Selling fresh produce at very inexpensive prices, these markets are usually held once a week on Saturday, and are known as the Famer's Markets. Marshall Field and Company is located on State Street and is open from Monday to Saturday between 09:45 to 19:00 and on Sunday from 12:00 to 17:00. This elegant department store is the largest department store in the Loop district and sells an enormous range of goods, in luxurious surroundings. These include a large selection of clothes and accessories. Carson Pirie Scott is also located on State Street and is open from Monday to Friday between 09:45 to 19:00, Saturday from 09:45 to 18:00 and on Sunday between 12:00 to 17:00. This is the second largest department store in the Chicago Loop district and has eight large and spacious floors, full of an extensive selection of goods, including home ware and high fashion. Atrium Mall is located on 100 West Randolph Street, and is open from Monday to Friday between 08:00 to 18:00 and on Saturday between 11:00 to 16:00. This popular mall features around 30 stores and restaurants than open out on to a stunning and stylish interior. Merchandise Mart shopping mall is located on 300 North Wells Street, and the stores open and close at various times throughout the day, mainly between 08:00 to 18:00. There are over 50 boutiques, shops and bars on the two lower floors of the Merchandise Mart, including several top fashion stores. Water Tower Place mall is located on 835 North Michigan Avenue, and is open from Monday to Thursday between 10:00 to 19:00, Friday between 10:00 to 20:00, Saturday between 10:00 to 18:00 and on Sunday between 12:00 to 18:00. There are seven cinemas and more than 150 stores, bars, cafés and restaurants. Chicago Place shopping mall is located on 700 North Michigan Avenue, and is open from Monday to Friday between 10:00 to 19:00, on Saturday between 10:00 to 18:00 and on Sunday between 12:00 to 17:00. There are over 50 stores in this mall, including Saks Fifth Avenue. 900 North Michigan mall is open from Monday to Friday between 10:00 to 17:00, Saturday between 10:00 to 18:00 and on Sunday between 12:00 to 18:00. With six floors and over 60 top stores, including Bloomingdales and Henri Bendel, there are also numerous restaurants, bars and two large cinemas. Century Shopping Center is located on 2828 North Clark Street, in an impressive, converted theater with six floors of shops. Most of the shops are mainly clothing stores. Gurnee Mills Outlet Mall is located on the Interstate 94 / Route 132 West (Grand Avenue), and is open from Monday to Saturday between 10:00 to 21:00 and on Sunday between 11:00 to 18:00. The mall is vast and there are more than 200 discount shops, featuring many special offers. The antiques district is located on the North Side, in Lakeview. There are also a number of popular antiques stores on West Kinzie, West Belmont, North Lincoln Avenue and Clark Street, selling a range of antique furniture, ceramics, vases and works of art.